What's new with the iPad 4? 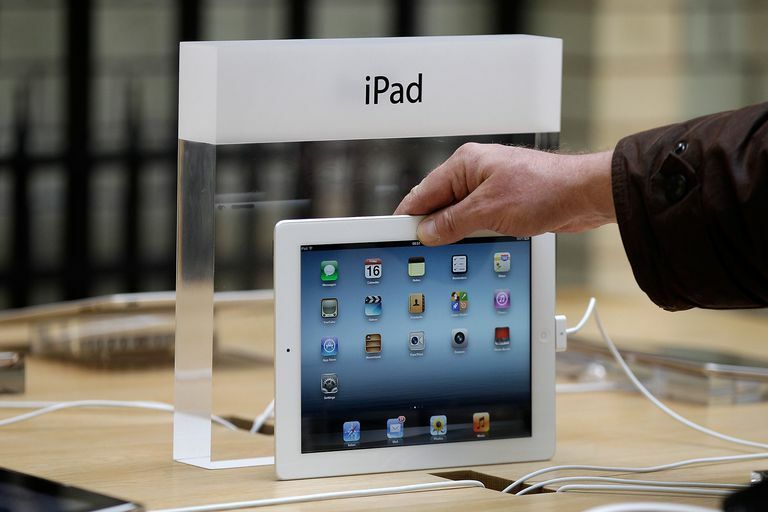 If you are thinking about buying a used iPad, the iPad 3 and the iPad 4 may offer the biggest cost savings. The iPad 3 was the first iPad to offer a Retina Display, but other than a super-sized graphics chip to help power the higher resolution screen, it was mostly an iPad 2. The iPad 4 was the first iPad to be debuted in Fall rather than Spring, and with a new processor, it was the first major upgrade to the iPad since the iPad 2. We'll go over some of the features that were upgraded in the iPad 4. If Apple used the same system of naming the iPad that they use with the iPhone, the iPad 4 would have been named the iPad 3S. And the S would be for speed. The biggest difference between the iPad 3 and iPad 4 is a processor that produces twice the speed both with graphics and pure processing power. Many thought the A6X might make its debut with the iPad 3, but Apple did not want to sacrifice any battery power in an iPad that already needed as much as possible to deliver the Retina Display. The A6X was delayed to make sure it was ready for mass consumption, including being energy efficient. Remember the old 30-pin connector? It may only be a few years since the Lightning connector replaced it, but it seems like ancient history. The Lightning connector got a lot of bad press when it first debuted, with many people believing it was simply a move by Apple to force people to buy new accessories. Flash forward a few years and we have an iPad Pro with speakers at each corner, a feature that might not have worked out as well with a bigger adapter at the bottom of the iPad. The lack of a Lightning connector may be the biggest detractor to buying an iPad 3 over an iPad 4. The lack of speed won't show as much when you are browsing Facebook or streaming movies, but the lack of a Lightning connector will make it harder to find accessories that fit the older iPad. The iPad 3 and the iPad 4 both have a 5 MP iSight back-facing camera with basic features like face detection, backside illumination, and a hybrid IR filter. This camera is basically the same as the one found in the iPad Air. It wasn't until the iPad Air 2 that the back-facing camera moved up to 8 MP, and the newest iPad has a 12 MP camera. The iPad 4 did improve the front-facing camera to a 720p HD camera, which is a big improvement over the iPad 3's front-facing camera. But unless you plan to do a lot of selfies, the iPad 3's front-facing camera is good enough for video conferencing. The iPad 4 was the first iPad with a dual-band Wi-Fi antenna. In a technical sense, this means it is able to connect to both 2.4 GHz and 5 GHz 802.11n signals. In a non-technical sense, this means it can take advantage of some of the performance-enhancing features of newer routers. The faster processor on the iPad 4 is great, but most of the time, mobile devices are limited by their weakest link. No matter how fast the iPad can process information, it has to get that information first, so faster downloads can certainly make a big difference. The iPad 4 is clearly a better tablet, with a faster processor, upgraded Wi-Fi, and a better front-facing camera. The biggest advantage the iPad 3 has is the fact that Apple used the same processor in the iPad Mini that was used in the iPad 2. And this is a similar processor as the one used in the iPad 3. This has helped the iPad 3 have continued support from Apple rather than going the way of the original iPad, which hasn't been able to upgrade to the newest versions of the operating system for several years now. If you are looking to buy a used iPad and are deciding between the iPad 3 and the iPad 4, the fourth-generation iPad is definitely worth some extra money. The extra processing speed alone will help it keep up with the latest apps. The iPad 3 is already starting to show its age. Is Apple's iPad 4 the Best iPad Yet? Does the iPad 3 Live up to the Hype?